People may think of psychedelic plants as a gateway to the nature of mind, as a way to enlightenment. Maybe these mind-altering drugs can help reinforce those on the bodhi path. But they are optional, and secondary to the process that is truly essential for spiritual evolution: meditation (or contemplation). While laws and social stigmas limit the use of psychedelics, there is an alternative substance you can freely consume that can aid contemplation. And you can do so without jail time, or excommunication from your social niche. 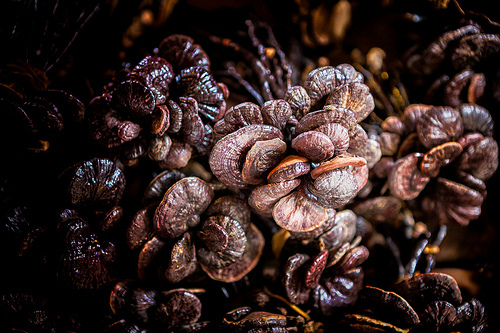 The herb–or mushroom–is reishi (Chinese name: ling zhi), and it is classified as an adaptogen. Adaptogens are herbs that help us manage our response to stress. The stress may be mental, emotional or physical. These herbs are anti-inflammatory, antioxidant, antibacterial, antiviral, or anti-tumor. They balance hormones, enhance immunity, calm anxiety, or uplift depression. They enhance cellular respiration (oxygen uptake) for increased energy production. In scientific summary, they regulate the neuroendocrine-immune system. All adaptogens exhibit at least one of the above attributes, and most exhibit a combination of several. All are also safe for long-term use and supported by a significant volume of research as well as millennia of clinical use, mainly in Ayurveda and Chinese Medicine. While the agelong use of these herbs is a testament to their safety and efficacy, new uses for them continue to be found as modern diseases emerge. It can be used for insomnia, fatigue, poor appetite, or lung disorders. It is also considered a longevity herb. It was first listed in the Shen Nong Ben Cao Jing (Divine Husbandman’s Materia Medicia), which was written sometime shortly after the Han Dynasty (ending 220 CE). There, it is classified as a superior herb, meaning that it nourishes life and is very safe to use. Red reishi improves cognitive function. Black reishi isn’t attributed specific mental-emotional effects, but strengthens the kidney system which traditionally corresponds to will power. In China it is used in fu zheng therapy during cancer treatment. 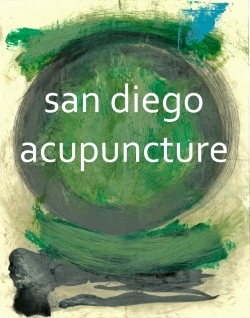 Fu zheng means “to support normal qi.” It is a therapeutic approach that focuses on strengthening the body and building its resistance to disease, rather than attacking disease directly. In integrative cancer treatment, while chemo- or radiation therapy aggressively attacks the cancer, fu zheng treatments protect the body and counter the side-effects of chemo and radiation. The path to enlightenment is infinite, and open for travel as far as you are willing to go. Meditation is the guide along the path. Take a few steps in meditative thought and you may feel at peace, and choose to stay there. If you walk further, you will leave the comfort of peace, and explore hatred, envy, fear and/or other negative emotions that characterize the human condition. But your journey will be more complete, for you have chosen not to repress existing emotions. Thus, your path becomes winding, as you weave through peace and conflict. Way, way down the path you will touch upon the place you started. You will realize you haven’t been moving forward, winding along. For you will have reached the point of infinite oneness, where everything moves together, and relativity is lacking. Psychedelics may do this mind-work for you, as a shortcut to heightened sensory awareness. But it is a shortcut through Wonderland, where you can easily get lost. Ling zhi, in contrast, will help you do the enlightening mental work yourself while retaining logic and opening your mind to intuitive clarity.